How to Sell Used HP Laptops ? There is no doubt that HP provides one of the most powerful and elegantly designed laptops in the market. Especially, the latest edition HP X360 and HP Pavilion are one of the best ultrabooks in the market today. The aluminum body of the laptops gives the looks and feel of premium quality. Each of these laptops is packed with some great specifications, including Quad Core 8th Gen i7 Processor with 16 GB of RAM. Every professional who uses gadgets in their life would love to buy any of these laptops by selling their old HP laptop. But, buying a new laptop with exchange offer doesn’t provide a fair amount for your old HP laptop; so many people keep their desires in their heart. If you also want to Sell Laptops for reasonable amounts so that you can purchase the new HP laptop, then don’t worry, we have got you covered. Selling used laptops can be a tricky task, especially if the laptop is five to six years old. As not everyone is fond of buying old gadgets, and when you go to a vendor, they don’t offer a reasonable price for it. So, how can you utilize your old HP laptop or get a fair price for it? Well, there are many options to sell used or broken laptops, such as finding a customer on reselling apps, offering it to your friends who are in need of it or selling it to GetCashforLaptop. 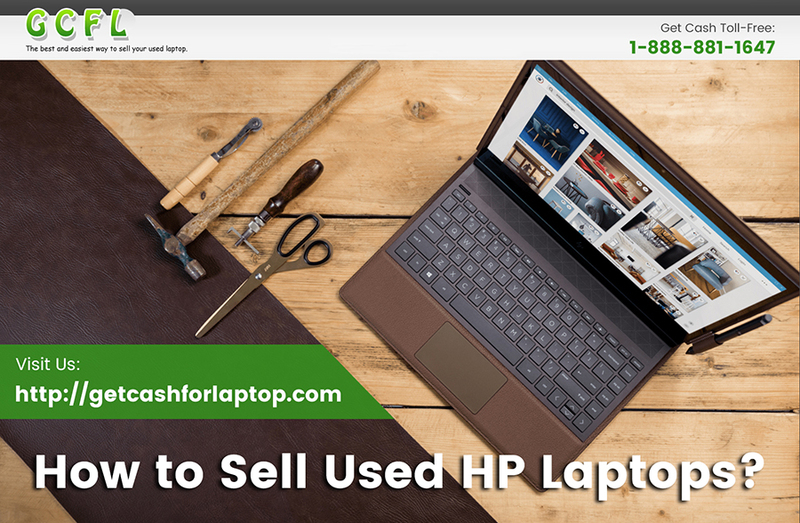 GetCashforLaptop is recognized as one of the best platforms to Sell Broken Laptops, used laptops, or old laptops. We provide an excellent price for all kinds of notebooks whether it’s broken, old, or used. We accept all brands including HP, Samsung, Lenovo, Dell, MacBook, Apple, Acer, etc. To sell your old laptop, you need to submit a quote on our website. After receiving your quote, we will email you a free shipping label. Once we receive the laptop, it will go through inspection to check its condition. Once the inspectionis done, you’ll receive your payment via PayPal transfer or check in the email. You can directly contact us at our contact number: 1-888-881-1647.